Maybe the first ever La Mien restaurant in the Philippines, I just love their original noodles, dating back as far as I can remember it, which is so long ago, I think even before as my parents were still courting each other. The big secret lies in their delicious soup base, unlike any other i have ever tasted, it may be bland for others but add it with their special sauce, and it's a whole new story. 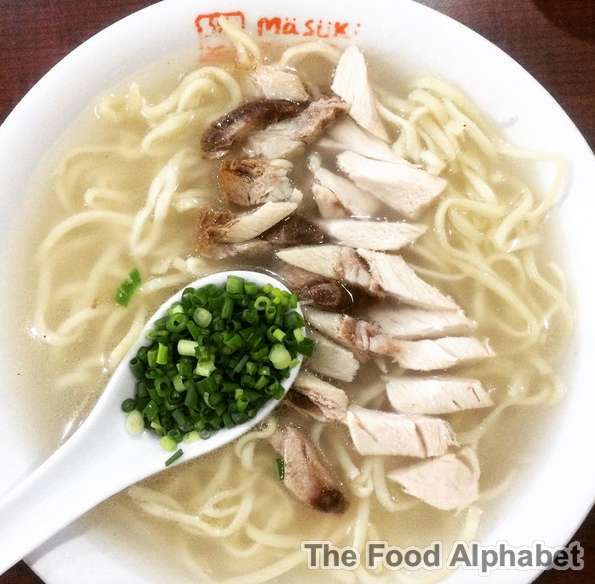 I love to pour their special sweet sauce over the noodles, adding in so much flavor. Familiar to some, a total mystery to many! Yup this hidden gem in the middle of busy Carvajal Street, traces their roots from my lolos and lolas, and they have survived for so long since. 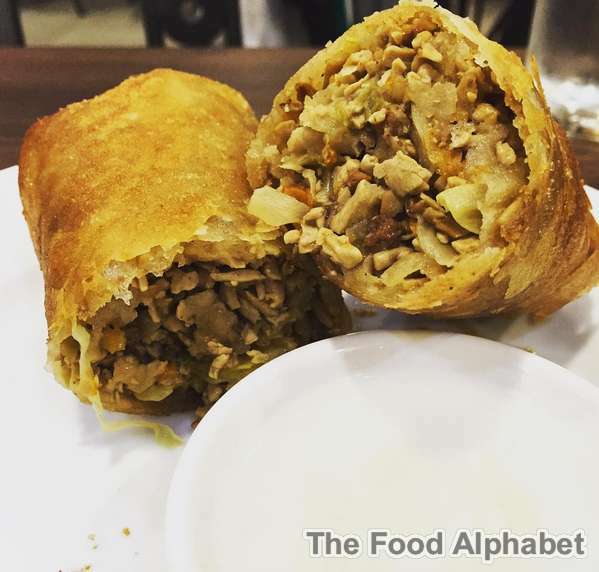 My favorite here is their Fried Lumpia, unlike other restaurants serving fried lumpia, Quik Snack packs a lot of meat, tofu and so much more ingredients from their secret recipe. Dip in white vinegar with minced garlic gives it an exquisite taste I just love. 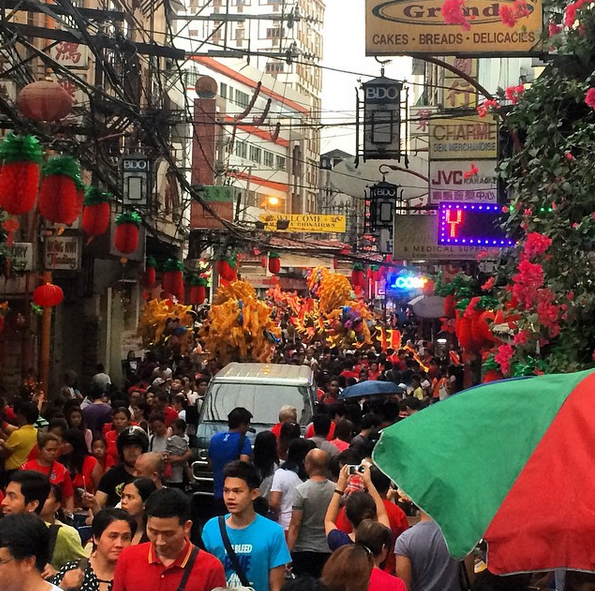 Quik Snack is located at Carvajal St, Binondo, Manila and is open weekdays and closed on Sundays. Perhaps the most household name in Chinatown, Mañosa is synonymous to Pork Maki, their specialty. So what is Maki, it is tender pieces of lean pork coated with soft breading then mixed in a glutinous brown soup base. I would often order this when we hardly have time to cook at home and just pour it over rice and you got a complete meal. Mixed it with black vinegar for a flavorful meal. With branches spreading across the metro, the original branch along T. Alonzo in Binondo is still my favorite branch, why you say, what's the difference between the rest? Well, when you dine in there, it's like you are transported back again to the early days when your server takes your order and then gives a shout out to the order counter and in minutes your order arrives. This is efficient order taking at its finest. My favorite item on the menu is not on the menu list... yup its a special item which I always order, you have seen the regular Wanton Beef Mami right, the difference on my end? I order the same then tell my server to separate the soup serving, the result, a rich beefy bowl of noodles. The rich pure beef broth combined with the soft textured noodle makes every sip something to behold. If I could eat up two bowls, I would if I can. Albeit most of you would disagree on my naming Tasty Fried Dumplings as my dumpling of choice, but Tasty Dumplings has been in the Chinatown area as early as my pre-school days. 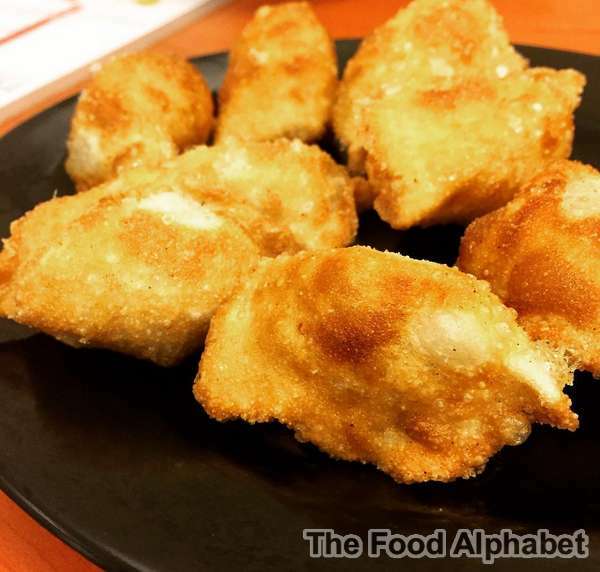 Most of the younger generation knows about Dong Bei Dumplings, but I still would hold my decision on Tasty's Fried Dumplings. Growing up with Tasty Dumplings has been a great big part of my childhood, up until today. Dip in their special sweet soy sauce takes me back to my childhood days once more. Eng Bee Tin, already a familiar name in the 80's with delightful delicacies and treats, made a landmark name for themselves when they made the Hopia Ube. 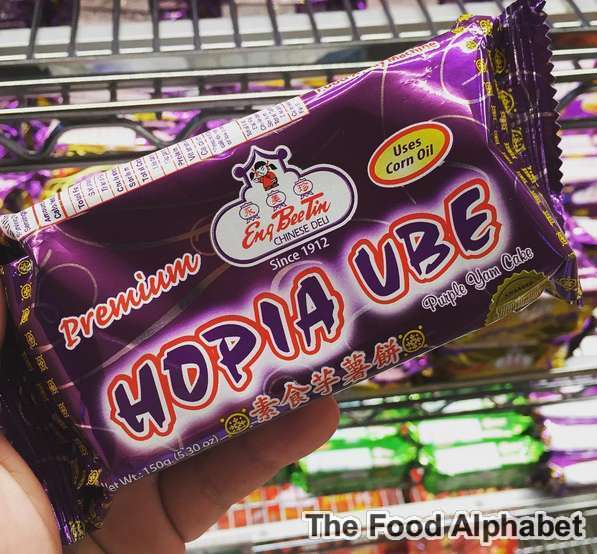 Eng Bee Tin, embraced the Ube loving Philippines, then created the ultimate hopia, the "UBE HOPIA", which already has made Eng Bee Tin, the best known Chinese brand conceived locally. Wonder why this made my list? Go get some and find out today! This Shanghai Fried Siopao is a late-bloomer, they started making their fried siopao in the late 80's, I can still remember the days when they were only priced at P5.00 each, now they are at P18.00 each, just look how inflation has hit us. 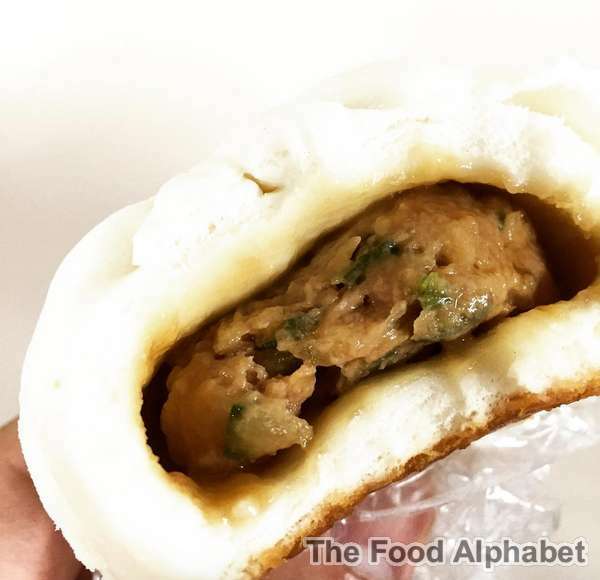 Each fried siopao is oozing with a meatball (bola-bola) in it, since this is fried, I love how it leaves a crisp crusty bottom, then as you chew inside, the flavorful juice oozes out, just like how you eat your steaks. Get a taste of meaty goodness with every bun, just how good is this? Well, imagine Chinese New Year, the lines fall as long as 2km long... I'm serious! Yup, they're that good. Last on my list is another late bloomer, Lucky Rainbow Wan Suy Dumplings! This dimsum is by far one of the best I have had in my whole life. 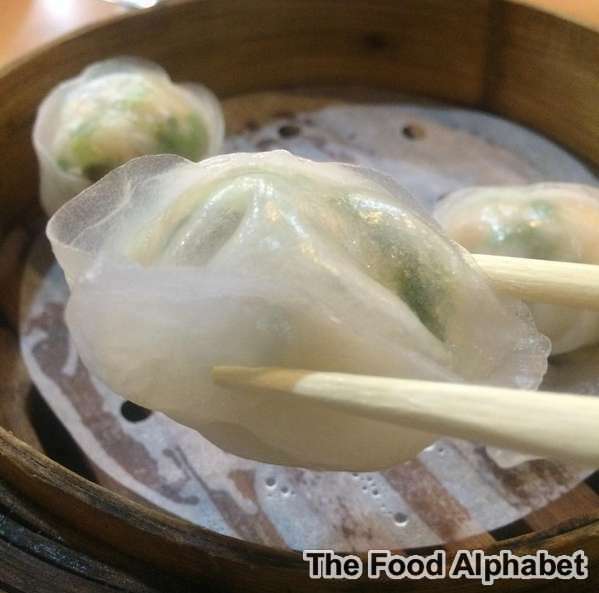 An original dimsum creation (they should patent this), which is basically a hakaw (shrimp dumpling), then infused with Wan Suy leaves, behold Wan Suy Dumplings. Maybe its the Wan Suy, maybe its the shrimp they put in, or maybe its their soft chewy outer rice skin, all in all it makes for the perfect dimsum to enjoy anytime! Lucky Rainbow is located at 839-841 S. Padilla St., Santa Cruz, Manila. ***Update: This store is Chinatown is already closed.. but you may try one of their branches in Makati and another in Z Square Mall in Del Monte corner Banawe, Quezon City. 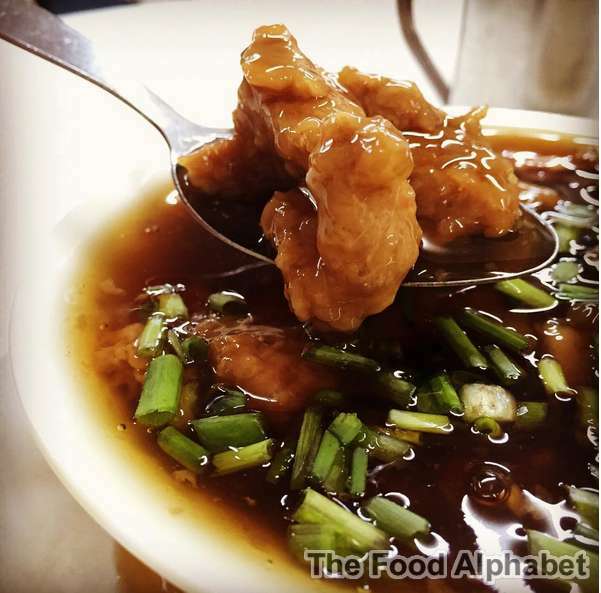 Well, that concludes my Top 8 Must Eats when you visit Chinatown in Manila, this list may be short, but trust me after you have taken your rounds in Chinatown, you'd be full once you finish my top 8 of the must eats in Chinatown. See you again in our next food trips! 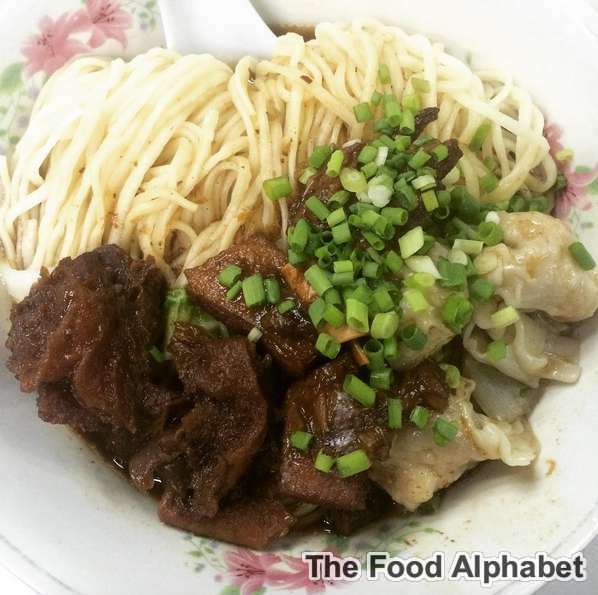 And keep it here at The Food Alphabet for more food finds, thrilling and exciting dining and travel destinations.